With OSFest coming to a close, the intense part of con season wraps up. For the most part I think I did well. Made at least one sale at every convention I showed. Won a couple of awards. I'm going to try and keep the momentum going, I think it's time I start submitting to art shows all years round, even if I'm not able to make to it a particular convention. I'm going to submit to a few outside my usual geographic haunts. We'll see what happens. Finishing up the first story of Misericordia was quite an experience. Two complete pages a week was a lot of work, and a lot of last minute scrambling on my part. I did a hurried rewrite a few pages in and lost my backlog of pages in the process. I'm rethinking my workflow for the second part. I'm also preparing part one for a print edition. Stay tuned for that. Currently, I'm documenting my progress on Misericordia in lieu of regular story updates. Check it out: http://theendofallsuffering.com/. All set up at OSFest 8 in Omaha, NE! Made it to CONvergence! Looking forward to a fun weekend. All set-up at the art show. Please say hi, if you spot me wandering around. Convention art show season is coming up fast. Doing some new stand alone pieces, I didn't realize how much turning to them keeps me from burning out on the regular grind of preparing pages for a webcomic. I forgot so much about how to do things in my time off since Eye-Eighty. Misericordia is trucking along smoothly except for the part that didn't (I'll explain some other time). Misericordia has been updating for a month now. I am well ahead on page,s and so far managing to keep up. I can tell the steady work has started to make a difference. I really think the art starts to take a direction I want it to around page 16 or so. If you like Misericordia, please tell your friends or post about it on Facebook. I'm not versed in growing followers on Tumblr so it's been slow there, but I'm learning. Con season is coming up and that means time to put together some pieces for art shows. I think having a regular project like a webcomic lets me use this opportunity to something fun. I will be posting works in progress as I go. My new webcomic Misericordia is now beginning over at http://theendofallsuffering.com/. It will be updating every Tuesday and Thursday. I hope you enjoy it. The Misericordia project has been gestating for about three years. It's gone through a number of revisions and changes over that time. The character on the left over there is Ms. Eri, one of our 2.5 leads (you'll see). I'm excited to get back into working on a regular project. I didn't even realize I was missing it, until I was finally in the middle of putting it together. How long will it run? I'm not sure. I worked on Eye-Eighty for over eight years, but I honestly had no idea where I was going when I started. I see the shape of Misericordia and know how it ends, we'll just see how many detours I make in between. See you at the end of all suffering. Greetings. 2015 is looking exciting! Misericordia will be launching in January. I have been working on a lot of new pieces for convention season. Hope you all have an excellent New Years! Misericordia is just about ready to launch. Stay tuned. I haven't exactly been successful in opening up and sharing about how I make, hence the four month gap in entries. I have been working. In fact I am on the cusp of launching a new web comic. All artists struggle with being judged, and to actually show the process leading up to the finished is perhaps even more daunting. I really didn't expect that. I finished the second Iris White comic. I wasn't satisfied with it. I struggled with keeping myself invested while putting together and I think it shows. I'm not abandoning the project, and I learned a lot just getting that first one together and ready for publishing. Iris is going to stew for a bit while I figure out what to do with her. Misericordia is a project that has been gestating for a few years now. It was something I was planning to do in the future but I felt like wandered post Eye-Eighty. To be sure there were external things going on in my life at the time, that contributed. At the start of September I decided to finally sit and get Misericordia ready. It a wholly different experience to working Iris White. It felt right, some of the old elation I'd get working on Eye-Eighty came back. This was the project I was supposed to working on, I just didn't know it. I have a good start. A lot of pieces are in place. I just need to do a few last things before launch (i.e. fidget with the details). I have a lot of old writing and sketches about it, I'll be putting some up here once things are underway. I hope it's good. I hope you like it. I will be attending OsFest 7 this weekend. 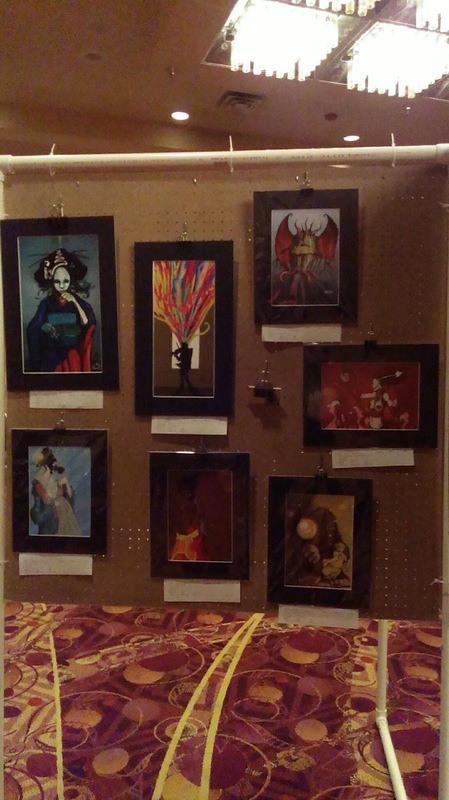 I have some art work up at the show, and I'll be hosting a b-movie panel Friday night. You may catch me sketching a bit during some downtime this weekend. Feel free to say hi! 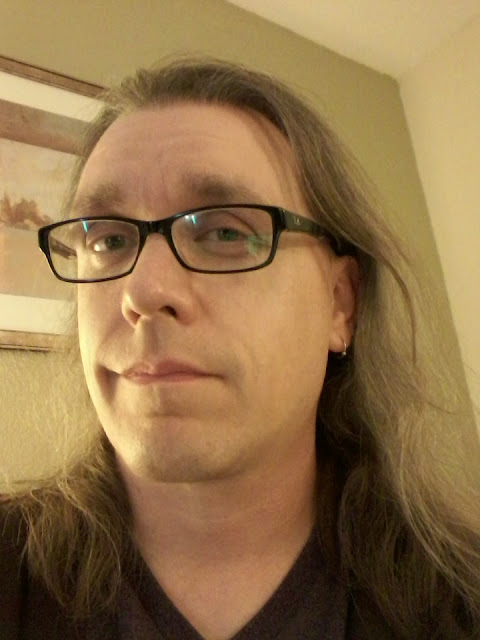 I have returned from CONvergence mostly intact. The art show, as usual, was impressive. I'm always astounded at how generous and enthusiastic Minnesota fans are when it comes to art. I sadly missed the artists meet-up, but I did attend a couple of very good panels that made me really think about my own attachment to the things I make, and allowing a much more intensive critique of what I'm working on. I'm not sure what I sold at the show, I try not to get to concerned about those things while I'm at the convention. With that in mind, I'm looking for a group to do that with. There doesn't seem to be much in the way of local groups for comic book artists, so I will probably have to find somewhere online. If you have any suggestions please post them in the comments. As I'm getting close to finishing up Iris White #2, I'm really looking at my process. Am I enjoying working in this format? Is there something I can change? Would it be better served if I worked in shorter updates? Heading off to CONvergence today. I have art in the art show, so if you're reading this and attending please stop by and have peek, of course you're welcome to bid on it too if that's your thing. I'm bringing some issues of Iris White #1 up to wave at people. I'm going to make an effort to at least connect to other artists and even try and talk about making art in general. Things I used to avoid much to my determent. Iris White #2 is nearly complete. It should be out by the end of July. There will be one more issue to close out this chapter, a break while I get another project off the ground and then I'll return for the next three. I'd like to release it in chapters of 3 for the foreseeable future. Script writing has been coming easier lately. It's the most difficult part of the process for me and results in a lot of stalled out projects. I'm making myself work through them and perhaps that is paying off. Apologies for the lack of updates lately. Convention season is upon me and between getting things ready and trying to get the next Iris White finished, I've been busy. Part of the reason I began this blog was to get into the habit of sharing my processes and having a conversation about making art. So, sharing is still not yet a habit and I need to make a more concerted effort to do so. Working on Iris hasn't been easy. Working in a longer format has had challenges I didn't expect. One I didn't expect was I miss the immediacy of feedback when I did Eye-Eighty as a web comic. I also got used to the way I could write a little bit produced some pages and then stew on the story a bit and write again. Iris is much more of a long game, and as of writing the second issue can start feeling myself getting used it. Still it's a lot more work and I can see why comics are often developed by teams. Perhaps that is something to explore in future projects. Speaking of future projects, I'm going to post so preliminary work on a few other more nebulous things I'm considering, including something Eye-Eighty related. But for the moment here is a work in progress page for Iris White #2. Working on Iris White #2. Writing for a more traditional comic has been an interesting switch from Eye-Eighty. On EE, I really had to compress elements to fit in an update, but consider the long term story. In IW, the story isn't quite so epic in scale (kinda) but I have much more room in an individual issue to use. Anyway, here is something I made when I was taking a break from writing. The first issue of my new limited series Iris White is now available from Indyplanet.com. It's available in both print and digital formats. Iris White is a horror series about a scarred woman, who works as an investigator for a mysterious organization called The Edifice. The first issue finds her traveling to an abandoned estate that used to house a cult and may be connected to some recent missing children cases. There is a path on the estate, a path to somewhere called A Beautiful Place. I am working on issue two at the moment, I hope to have it out in early June. I hope you enjoy Iris White. Artwork (now with lasers) successfully hung. My two pieces, Yellow King and The Last Geisha are now up at the UNL Staff Art Show. They are in the rotunda in the City Campus Union. The show runs until May 2nd. I was briefly interviewed for an article in the university newspaper. You can read that over at the Daily Nebraksan. My new comic Iris White will be available as both in digital and print editions. I will have links up here as soon as they are accessible. Work is all matted and ready to go for Constellation. Looks like a busy Spring so far!